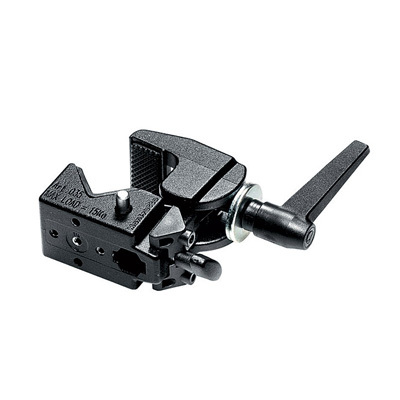 Manfrotto 035 Superclamp – Ideal clamp for photographic application. The Manfrotto 035 Superclamp – Ideal clamp for photographic application. 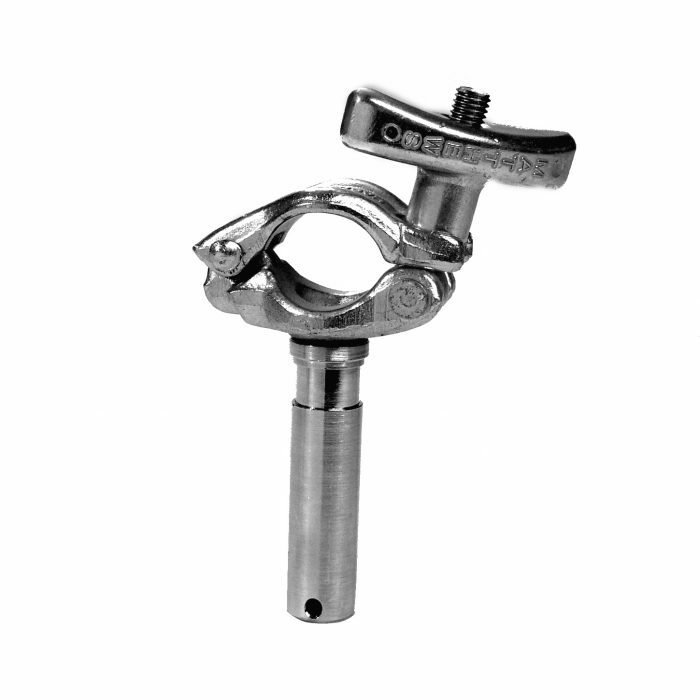 Ergonomic lever to securely lock clamping position. Manfrotto Super Clamp – The Super Clamp is so universally used and so trusted that it’s even seen on the space shuttle. Quite simply the most versatile single piece of light grip gear ever. Did you know the 244 Variable Friction Arm combined with a 035 Super Clamp (pictured) will firmly attach a camera, light, flag, reflector etc. to pretty much anything, and is fully adjustable. Manfrotto Clamps – A practical range of clamps and grips to hold lights and accessories wherever you need them, in the studio and on location – no matter what the size of the object to be supported or the surface to clamp to. The Manfrotto Group is a world leader in the design and manufacture of photographic and video camera supports, lighting supports and suspension equipment for professional photography, video, broadcast and cinematography. 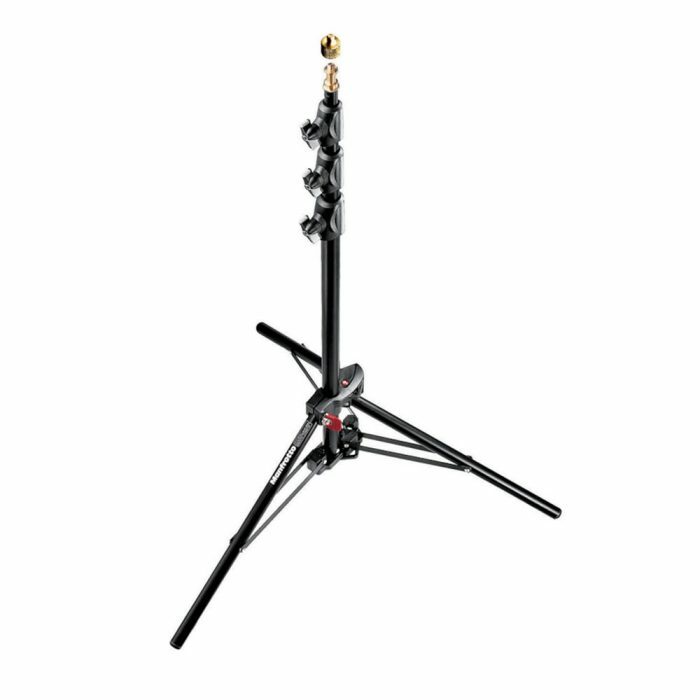 Manfrotto Lighting Supports & Accessories – we are happy to offer a selection of Manfrotto’s high quality Studio and Lighting Supports, as well as accessories for use in and out of the professional photographic studio. 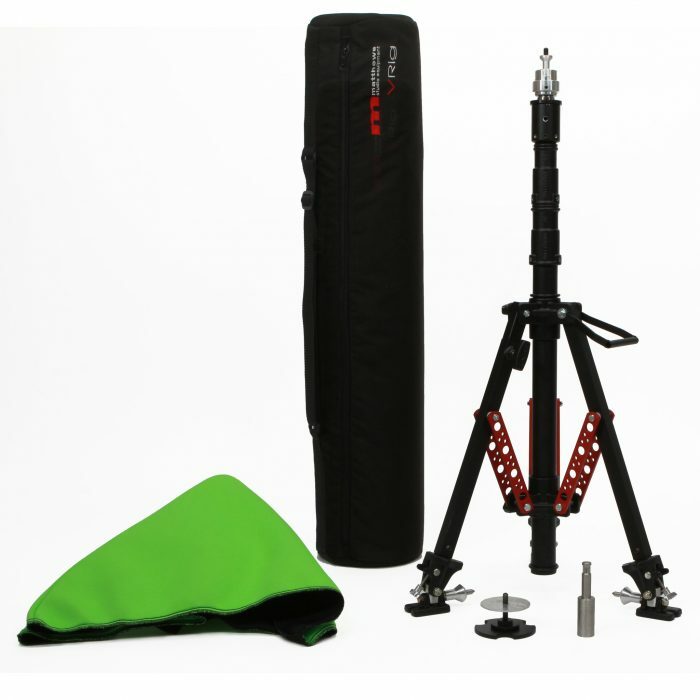 We keep most of these items in stock, and are able to offer heavily discounted prices on our most popular Manfrotto products. 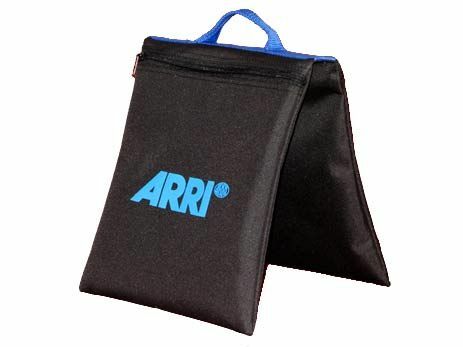 Please Note: Depending on what we have in stock, some items listed may be badged as ARRI but all are made in the same Manfrotto factory in Italy and have the same specifications.